Don't delay, use the quick order form to schedule an appointment today! No service fee if we do the repair! Appliance Repair Los Angeles - Pacific Appliance Repair Services has over 10 years of experience repairing all types of appliances. 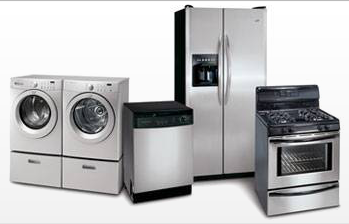 No matter the make or model of your household appliance we WILL repair it. As a local Los Angeles appliance repair company, we provide same day repair services to customers throughout the Los Angeles and San Fernando Valley areas. Please check out the discount service coupons below or our appliance repair pricing section for a complete breakdown. So before you throw out that perfectly good appliance, give us a call: chances are good that we can fix it. Air Conditioning Repair Los Angeles - Let’s face it: air conditioning in Los Angeles, CA is vital. At Pacific Appliance Repair Services, heating and air conditioning repair is our specialty; our many years of experience will guarantee that your ac unit will be functioning in no time. Need a reliable Los Angeles air conditioning service to restore you home's temperature immediately? No problem, as a trusted HVAC contractor we offer affordable same day service repairs to residents and businesses throughout the Los Angeles area. 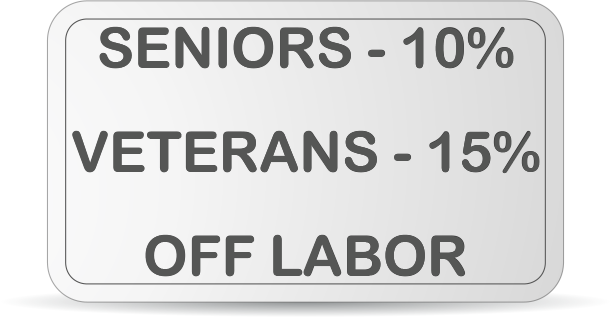 You can either call us now or fill out the form above to schedule a service appointment. Our team of professionals at Pacific Appliance Repair Services specialize in heater repair service. A heater going out during the cold season is no time to be wondering what to do. We arrive in a well-stocked truck with the necessary tools and all the parts needed to get your heater operating properly. We are available 24-hours a day, 7-days a week and we don’t impose any extra fees for emergency calls. We can evaluate your home’s interior environment controls and help you determine if it is possible to maximize your output while minimizing your expenses. Programmable thermostats make it possible to control how your system maintains a liveable climate whether you are at home or at work while saving you the most money on your utility bill. Give us a call today and let us show how. Modern commercial refrigerators are complex. It takes a team of specialists to locate the problem quickly. A broken refrigerator can mean spoiled food and lost money. It can also be a health hazard for your business and even exposure to liability. The only answer is to contact the best commercial refrigeration repair company. 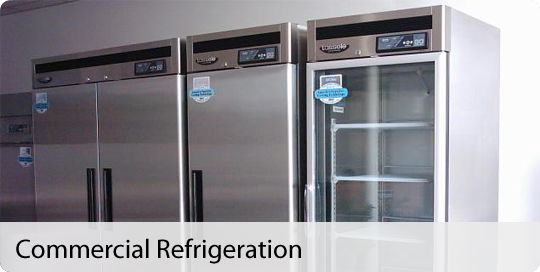 We service refrigeration units for any business. Have a technician dispatch immediately to your restaurant, market or mini-mart. Get quick repairs for the lowest price. Keep your appliances working reliably with the maintenance service that Los Angeles businesses trust for all of their repairs. Refrigerator Repair Los Angeles - As a local refrigerator repair company we have seen our fair share of poorly functioning refrigerators. From Sub-Zero to LG and every brand in-between, we offer professional service repairs on all makes and models. Your meals depend on proper refrigeration, so don’t delay: call us right away! We provide same day refrigerator repair as well as commercial refrigeration repair to the Los Angeles and surrounding areas. There is never a convenient time when a washer or dryer stops working for you. Pacific Appliance Repair Services knows you rely heavily on these appliance to continue performing unceasingly, and that could be part of the trouble. Whether domestic or commercial appliances, Pacific Appliance Repair Services experienced technicians are available to service the greater Los Angeles area and the entire San Fernando Valley. We will come to your residence or business, whether that is a hotel, apartments, management companies, landlords, institutions, commercial site-laundry locations or schools, let us add you to our growing list of happy customers. We are here to take your service call, 24/7. With over 10 years experience repairing all types of appliances, whatever the make or model of washer or dryer, Pacific Appliance Repair Services will respond to your call to repair it. Pacific Appliance Repair Services has been providing affordable and reliable appliance repairs in Los Angeles, CA and surrounding areas for over 10 years. It is very true that you are only as good as your weakest link, which is why our trained technicians are the best and brightest in the appliance repair industry. Not only do we have extensive experience with every major brand appliance, but we will come to your house, apartment, or business the same day! We even work around the clock 24 hours a day, 7 days a week. Reliable Air Conditioning Repair & Heating Repair in Los Angeles! We provide immediate heater repair and air conditioning repair throughout the Los Angeles area. The climate in California is unpredictable, heat waves come out of nowhere and cold nights creep up without a moment's notice. If you find yourself needing a heating or air conditioning repair service right away, contact us, and we'll be there as soon as possible. For over a decade, Pacific Appliance Repair Services has earned quite the reputation for reliability, integrity, and product knowledge. Our appliance repair technicians happily service landlords, management companies, restaurants, department stores and of course home owners. Our coverage area covers the greater Los Angeles area, San Fernando Valley, Thousand Oaks, and even extends into Ventura County. We are available 24/7 and offer same day appliance repair. Be sure to check out our coupons section for additional savings. Pick up the phone and call us today, we look forward to serving you.